Back for 2018, we are offering 5 packs of golf for next season at an incredible rate! 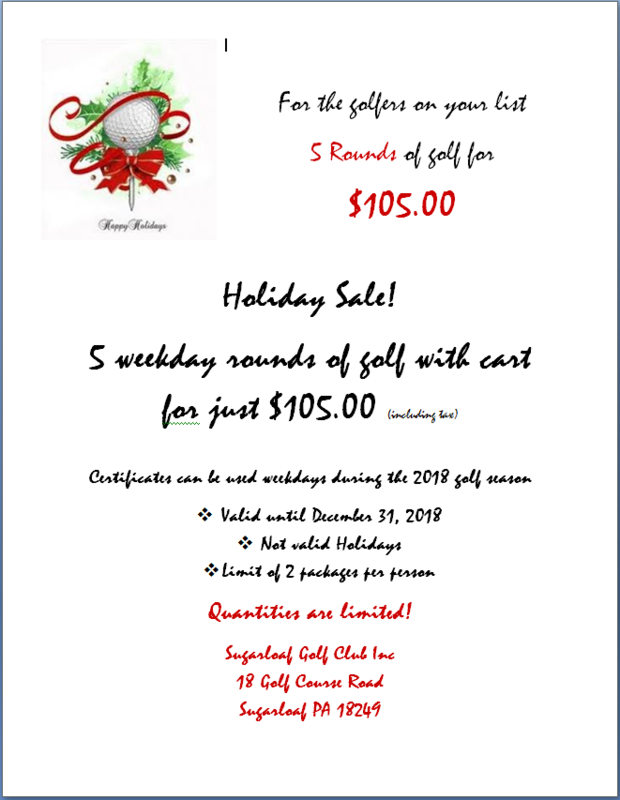 A great gift idea for the golfer on your list! Call the Pro Shop at 570-384-4097 to reserve yours today. Quantities are limited! It’s time for a Murder Mystery! Fall 2017 Rates Start NEXT WEEK!! !